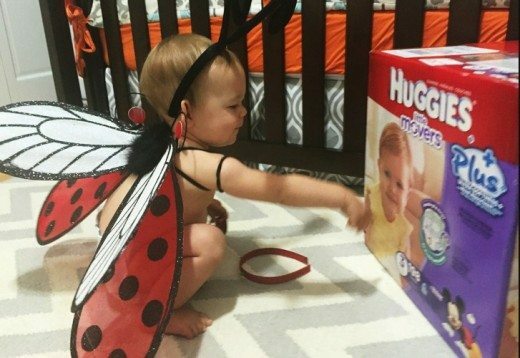 Thank you to Huggies for helping us tell the story of my costume-loving toddler’s Halloweeks of fun. Halloween is not just one day! It begins weeks early at our house, going through the costume box. I have one child who can turn mama’s flip-flop into a fancy purse and another who can throw a sweater over his head to transform into a T-Rex. They both wear wigs on the regular, will wear costumes year after year, mostly just to make us laugh before bedtime. We definitely start celebrating well before October 31st. We pull the costume box out many times a month. My favorite part is seeing my kids trying on sequins and Spidey masks, anticipating the fabulous outfit they will create. My toddler is right there rummaging through with her big brother, wearing nothing but a diaper. This year, the most important part of her costumes will be Huggies Little Movers Plus Diapers, available only at Costco. No matter what’s in that costume box, a reliable diaper that will keep my toddler comfortable and protected is the foundation of every costume. Huggies Little Movers Plus Diapers are the perfect fit for my baby (and budget). And honestly, she looks cutest all dressed up in nothing but that diaper and a big grin to see her brother in moustache glasses and Obi Wan Kenobi robe. Once we’ve got her in an ultra-soft diaper with extra absorbency, she’s ready for her own go at the costume box. This year, I added a few accessories just for her. No complicated costumes with fussy bows or too many zippers, just a few sparkling, fuzzy things she can pull on (and off). 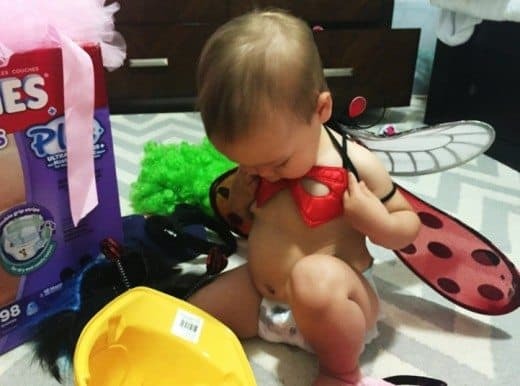 Practicing for Halloween is key, especially with toddlers. Before we have to head out into the cold on the big night, we spend a few weeks playing Halloween in our home, so my little ladybug (or kitty cat) can get used to walking around with wings or a tail. We walk her from (bedroom) door to (kitchen) door, reminding her to hold out her purse (skip the bulky pumpkin bucket) and to mind her trick-or-treating manners by blowing kisses (at least until she can say her own thank yous). Does practicing Halloween sound like more trick than treat? Here’s why we are stretching Halloween out over most of October. My toddler will get used to the fuss and fun of a costume. That moment when you’re trying to squeeze a screaming small child into a monkey outfit while kids are furiously ringing the bell…holy pressure! A little prep will help you work out the kinks and keep your tiny monkey much happier when the costume really counts. My kids get to enjoy their costumes before they get buried in winter layers. The weather in October is predictably unpredictable, and many Halloween costumes get buried under bulky coats. Playing Halloween early and often gives my kids the chance to enjoy the get-up with no worries about covering it up. We practice trick-or-treating without all the kid traffic. On Halloween, I’ll hold my baby close as we trek through the neighborhood. But in the weeks before, she can get the experience without (bigger) kids whizzing by. As my girl practices and gets treats (mostly tiny toys from her brother’s room), she can take her time and I won’t worry about shielding her as middle-schoolers hurdle toward bucket of tiny Snickers. We all have fun with zero pressure. If she throws off the fancy headband, no worries. If she’s getting a kick out of running around in only a diaper, we’ll still think it’s the most adorable outfit ever. Plus, I know her diaper’s Double Grip Strips will move with her for a comfy fit that lasts as long as our Mock-o-ween does. When Halloween arrives, we’ll have this whole thing down. Sure, we’ll have to hustle to keep up with her big brother’s crew. But we will have the confidence that we’ve (mostly) done it all before, and the assuredness that her diaper’s Trusted Leak Lock system will keep her cozy and dry for up to 12 hours (or as long as the crowds of Elsas are still funny to her). Even better? If none of it goes as planned, we’ve had all these weeks of fun memories. Convinced that the celebrating can last all month with your toddler? Make it simple for yourself with these three steps to making it a Hallo-wow! for your little one. Stock up on a few fun dress-up accessories that can be worn alone or with more elaborate dress-up. Then put them into an easily accessible costume box to pull out any day. Take lots of photos before And even if trick-or-treating turns to tantrum, the pics will make a great addition to a future wedding montage. 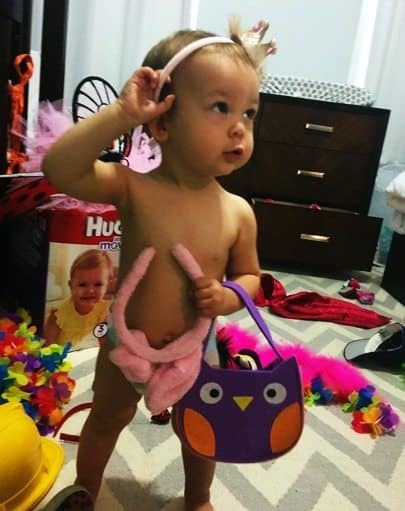 Stock up on Huggies Little Movers Plus Diapers to give you the confidence in the most important part of the toddler costume, before, during and long after the big night. 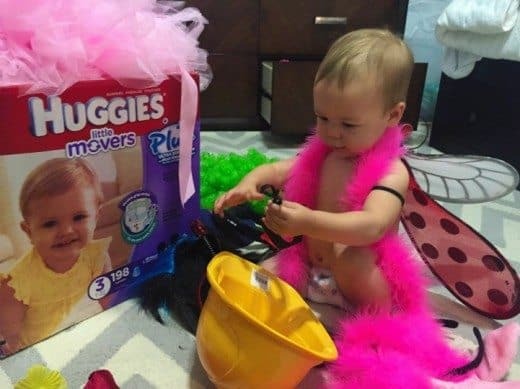 This post is sponsored by Huggies Little Movers Plus Diapers, available only at Costco. 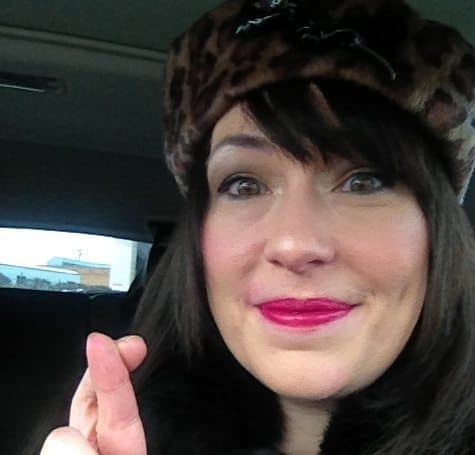 Jessica Ashley is a content strategist, editor and writer. She’s the founder of Single Mom Nation and author of the award-winning Sassafrass blog. Jessica is one half of the podcast Write-At-Home Moms, is a former founding senior editor at Yahoo! Shine and has contributed to Huffington Post, Huffington Post Live, Martha Stewart Radio, Disney’s Babble.com, The Bump, TakePart.com and more. Jessica wears inappropriately high heels to the playground and is mom to a stand-up comic, awkward breakdancing, Tae Kwon Do-ing son and a drooly-kissing, delicious-thighed baby girl.